Immaculate Batchelor Heights home located on a quiet street in mature area with parks and transportation steps away. Updates include: furnace ’06, central a/c ’06, roof ’06, fresh paint throughout, updated flooring throughout (laminate), updated bathrooms, kitchen, and back patio recently refurbished. 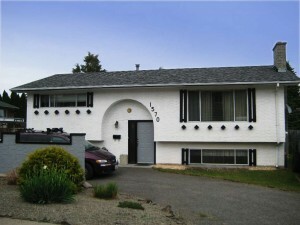 This home includes all appliances including deep freezer (not including downstairs fridge) and a beautiful pool table. City and valley views from the back patio and front of the home. Nice sized flat, private yard with gardens, lots of parking and room for an RV. Day before notice for showings a must and key must be picked up at LS office. The hallway and dining room light fixture not included but will be replaced. Just move right in to this home, there is nothing left to do!